When last we reported on the beleaguered adaptation of Stephen King’s The Dark Tower, it was to tell you that the property had moved from Universal to Warner Bros. and that principal actor Javier Bardem may have been lost in the transition. Now we have word that Russell Crowe is in talks to star as the gunslinger, Roland Deschain. There’s no deal currently inked out, but the studio will be factoring Crowe’s involvement with the picture into their decision on whether or not to greenlight the film at all. Here’s the rub: the yay or nay will come within the next two weeks. Much more on the latest developments surrounding The Dark Tower after the jump. 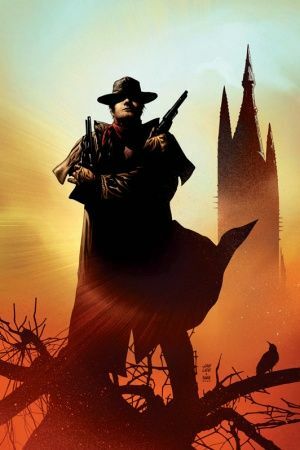 In the story, Roland Deschain is the last living member of a knightly order known as gunslingers and the last of the line of “Arthur Eld”, his world’s analogue of King Arthur. The world he lives in is quite different from our own, yet it bears striking similarities to it. Politically organized along the lines of a feudal society, it shares technological and social characteristics with the American Old West but is also magical. While the magical aspects are largely gone from Mid-World, some vestiges of them remain, along with the relics of a highly advanced, but long vanished, society. 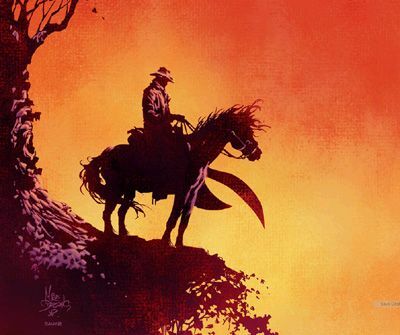 While Crowe doesn’t exactly fit the literal description of Deschain, his name certainly carries the weight that might help push the project over the edge. But what do you think about his potential casting?